MS Ignite is Microsoft’s biggest technology event of the year. With over 300 vendors showcasing their knowledge at The Expo, 440+ breakout sessions, award ceremonies, celebrations and more deciding what to do isn’t an easy task. 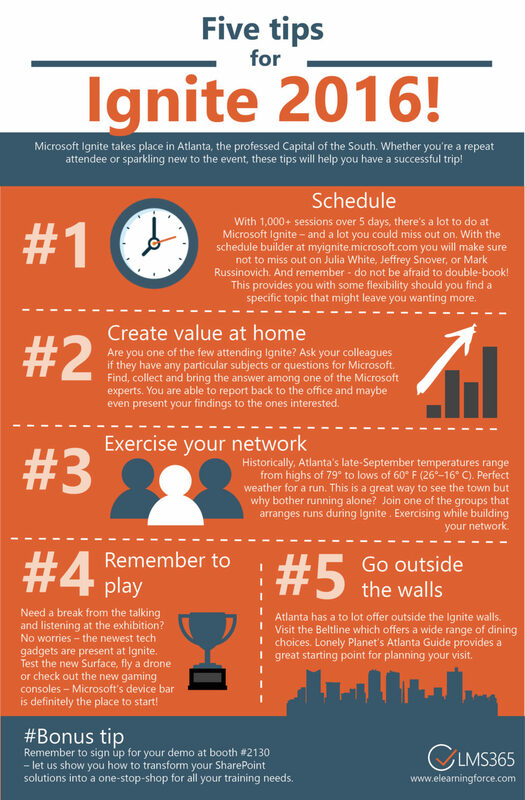 Check out our 5 tips to help you conquer Ignite 2016 and make the most of your time in Atlanta!